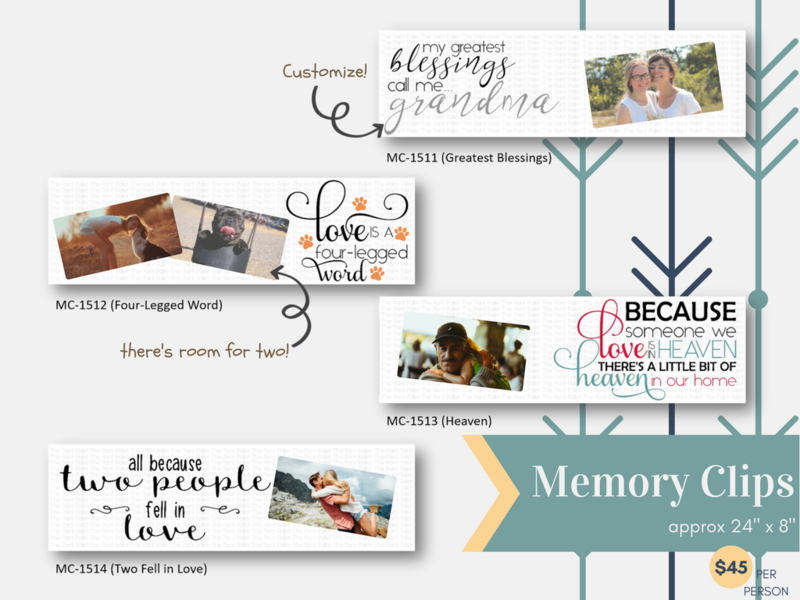 Every photo memory deserves its own special place! 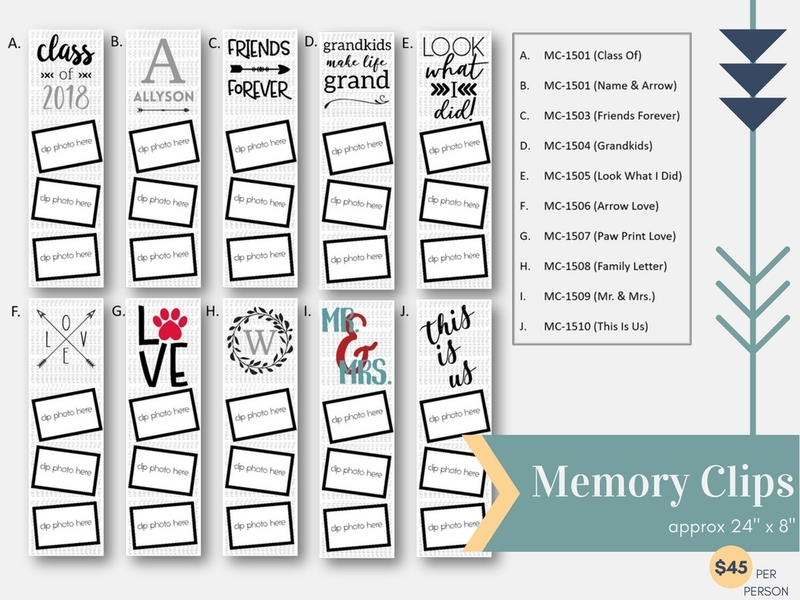 In the new Memory Clips Collection, you will find the perfect theme for your photo display. The combination of wood, metal and a beautiful saying make this collection especially unique. Each design can be customized in your favorite stain and paint at a pallet party event. Three metal bulldog clips are included making it easy to interchange your photos as often as you'd like.